Can Chattanooga support more stadiums? 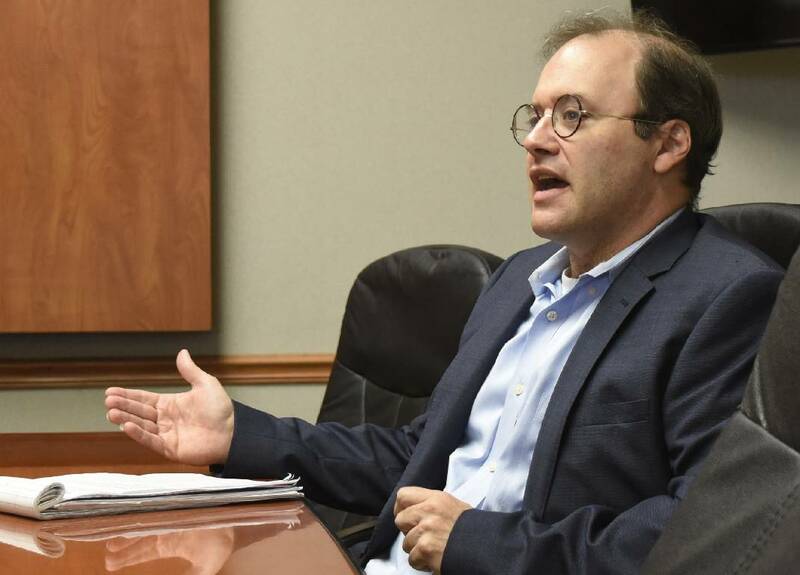 Jason Freier, Chairman and Chief Executive Officer of Hardball Capital spoke to the editors of the Times Free Press at the newspaper's office on September 25, 2018. Hardball Capital is the owners of the Chattanooga Lookouts and several other minor league teams. The new professional soccer team announced last week it plans to build its own stadium to host its matches in two years after officials were apparently unable to reach an agreement to use Finley Stadium and decided instead to play next season at Chattanooga Christian School. The director of the group that runs Finley Stadium said that scheduling complications may have prompted the Red Wolves to pursue their own stadium for matches. With Finley Stadium and AT&T Field already supporting football, soccer, baseball and other events — and the Lookouts talking about a new multi-purpose facility off South Broad Street — can Chattanooga support still another facility for sporting events? Finley Stadium: Has hosted the Chattanooga Football Club for 10 seasons and the University of Tennessee at Chattanooga for 21 seasons. Engel Stadium: UTC has indicated it is looking into the possibility of building a new venue where it could start playing, and Engel Stadium, which UTC purchased in 2008 gives the school an option. UTC has a facilities master plan that includes the possibility of a 12,500-seat stadium that could be expanded to more than 15,000. UTC would look into the possibility of moving its football building to the new site. AT&T Field: The Chattanooga Lookouts started playing here after the 1999 season. But team owner Jason Freier has said the stadium was not designed to last and has its challenges, such as how it's oriented toward the sun and its limited use after the baseball season is over. Proposed South Broad stadium: A study suggested the former Wheland Foundry/U.S. Pipe properties could be used for a new sports facilities, along with parks, housing and retail. A possible new minor league baseball stadium has been discussed for the site, and John Woods, a partner in the Lookouts, said this summer that the group "absolutely" interested in the site. Proposed Red Wolves stadium: The team has not disclosed where this might be, but owner Bob Martino said it would be a "first-class soccer facility designed to include skyboxes, a fan zone, several dining options, a merchandise store and hospitality areas." He also is is considering developing retail, commercial and housing around the stadium. Thomas said he and Martino were involved in "good and sincere" talks about the team's use of Finley, which it would have had to share with the amateur soccer team the Chattanooga Football Club, the University of Tennessee at Chattanooga and others. "It's really apples and oranges both contractually and morally," Thomas said. Freier, the Lookouts' operating partner, said the question regarding supporting stadiums isn't about facilities, but rather teams. Mike Mallen, a partner in the company that owns the 141-acre Wheland/U.S. Pipe tract off South Broad identified as a potential new Lookouts home, said he, too, has had no discussions with the Red Wolves group about the foundry parcel.